Is your business going through a slow stage? Maybe you've just started out, set up your website, created your packages, got yourself on social media aaaaand.... crickets. No one is inquiring about working with you. Or maybe you've been freelancing for a while and you've survived until now on referrals- but you suddenly have no clients booked for next month onward. Relying on referrals has always worked for you. How come it isn't working now?? I've been there; I know how you feel. You're worrying about how you're going to pay your bills next month. You're looking at the freelancers around you and you're burning with envy because they're booked six months in advance and they seem like they're always in demand. What are they doing that you're not? There is one major reason why most freelancers struggle to find clients: they don't have a marketing plan. Having no marketing plan in place is the reason why most first-time freelancers fail. I hear the phrase 'if you build it, they will come' a lot, but that's not the case with finding clients. Ever. Simply creating a website and writing a few blog posts is not going to get you any clients. You have to let people know what you do, who you are, and why they should care. You have to go out into the big online world and get as many eyes on your services as possible. Marketing can seem scary because you're not sure where to look, where your ideal clients are, or how to get their attention without looking salesy. I'm here today to let you know that marketing or 'promoting' your freelance services isn't as hard as it seems. In fact, it can even be fun! Before we get onto the fun stuff, let's talk about a few marketing mistakes and myths that are in your way. 01. You think a marketing plan is a boring, long Word document. I used to be guilty of this one. When I started out as a freelance web designer and I heard the term 'marketing plan', I thought it sounded unbelievably boring. I'd taken Business Studies in school we'd created 50-page marketing plans that used a lot of technical jargon, so the thought of having to make something like that for my business petrified me. Your marketing plan doesn't have to be long, boring and filled with terms you don't understand though. Your marketing plan can be in whatever form you want it to be. It could be a flow chart, a spider diagram, a one-page plan, a three-page plan, in a notebook, on your computer, or in another form you prefer. The most effective marketing plans are simple to understand and fun to create! Don't put off creating a plan because you think it has to be long and complicated. It doesn't. Get the first chapter of The Freelance Marketing Plan for free! Sign up to get it sent straight to your inbox! A lot of creatives are free-spirited and don't like the idea of following a plan. It sometimes feels rigid and limiting. But if you create your own simple, fun plan, it will enhance your creativity! A marketing plan isn't there to map out every single step you must take every day, month and year to move your business forward. It's there to guide your business and ensure that you know what you need to do to grow. 03. You haven't been able to follow a plan in the past, so you haven't bothered since. I'm sure all of us have tried following some kind of plan in the past and failed miserably. Maybe you were really pumped about the plan at first but soon lost your excitement and motivation. Maybe you created a plan and then it sat in a folder in Dropbox, untouched. Or maybe you followed your plan for a week then forgot all about it and went back to winging it. It's OK. We've all been through this- it's called trial and error. The reason your past plans probably didn't work out for you is because they weren't in the right style. Some creatives are very visual and find it easier to stick to a plan that's mapped out in a flowchart. Others (like me) prefer a simple spreadsheet. 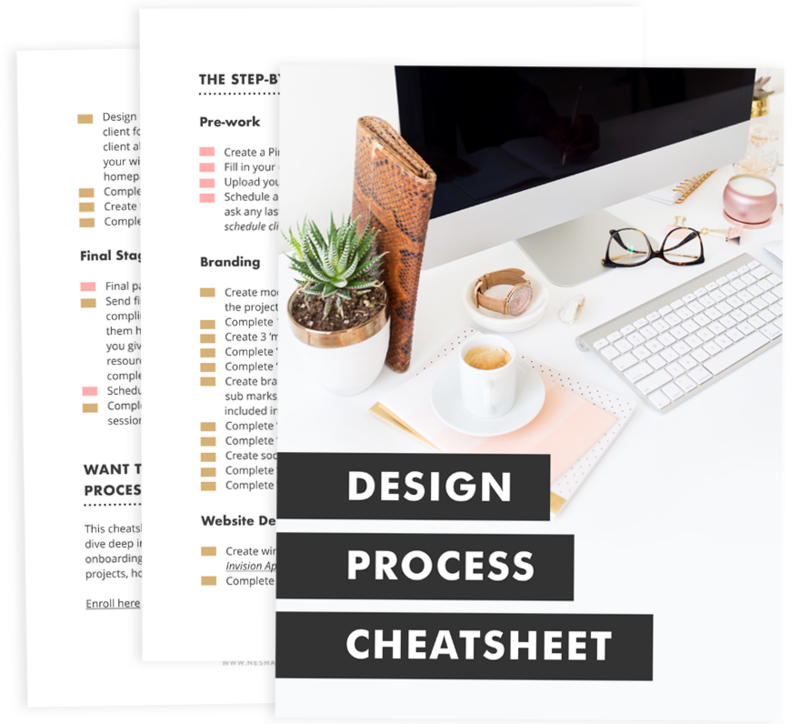 Once you find the planning style that works for you, you'll find it easier to stick to your plan and you'll start seeing major growth in your business. A lot of freelancers get most of their work through referrals. Either past clients refer work to them or their friends do. It's a brilliant way of getting clients- but it's also unreliable. Relying on others to bring in the work for you is really risky. When those people don't have any work to pass on, you're going to be stuck. That's why you need a marketing plan. Instead of putting all your eggs in one basket and relying on just one marketing avenue, you'll be at less risk of going through a slow stage if you try a variety of marketing strategies. You'll diversify your marketing strategies and be at a lower risk of going through a slow stage. You'll be able to pick and choose the clients you want to work with. You'll start getting more inquiries. You'll get booked up really quickly! Don't let marketing plan myths stand in your way of more clients.